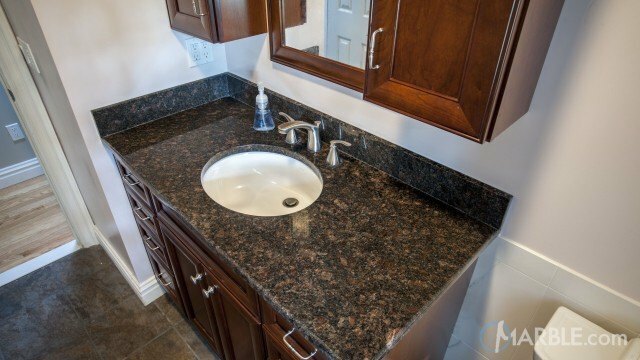 Tan Brown granite is a popular dark granite with beige speckling. 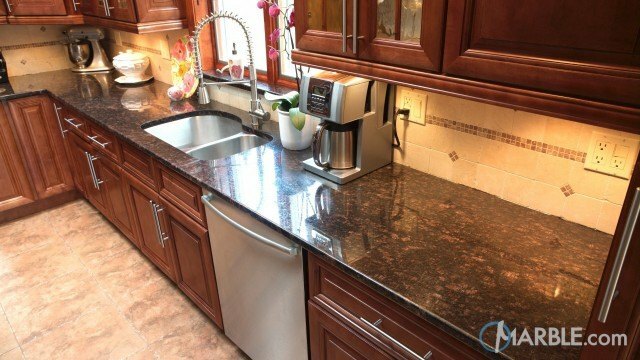 Sometimes this granite has red and blue speckling. 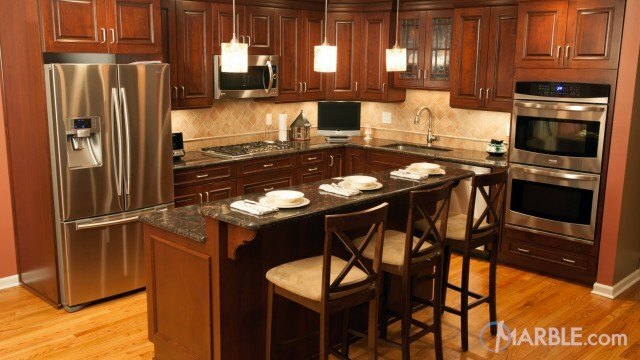 The browns in this stone allow it to match many colors in a contemporary kitchen.